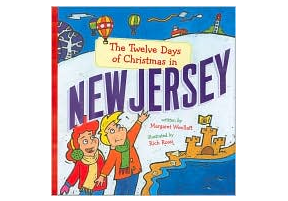 Just as Cliff Hillis’ latest release makes me want for my old New Jersey stomping grounds, out comes another release with Jersey connections. Chris Bolger’s No Promises is a real winner. Perhaps this season is the summer of Jersey Power pop. While some tracks were more engaging that others, there are a number of power pop gems on this latest entitled No Promises. And with a super-group of sorts back him, there’s plenty here for those with an appetite for classic power pop to sink their teeth into. This Jersey-centric line-up includes Dennis Diken (Smithereens) on drums, Graham Maby (Joe Jackson) on bass and James Mastro (The Bongos) on guitar. Pretty damn impressive. “Easier”, the opening song, grabs the listener immediately. While I’ve heard some other bands referenced when discussing this song, “Easier” sounds a little bit Big Star and a little bit The Move. I’m a sucker for cultural references so “Barbara Feldon” is an instant hit with this Get Smart fan. The title track, No Promises, is a beautiful acoustic number buoyed by a gorgeous mandolin. Next, Bolger serves up two classic power pop numbers. The 12-string jangle of “Atlantic City Expressway” and classic late 70’s early 80’s power pop sound of “Geraldine” make these two tracks instant winners. Bottom line: Pick this one up. 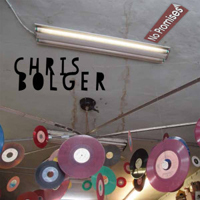 You can get your copy of Chris Bolger’s No Promises at his Bandcamp page.